Normally I try to get my While You Wait posts up farther in advance, but life happens. At any rate, if you're on a long hold list for White Lines at your library or want some read alikes, I'm hoping to help you out. Normally I try and give you guys four or five recommendations, but I could only think of three this time. 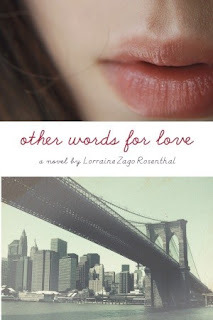 For my first two picks, I decided to post more about teenagers who are kind of left to find for themselves. Anna is mostly on her own, which sounds like a lot like the M.C. in White Lines. She's largely responsible for feeding and taking care of herself, and she doesn't always make the best decisions in terms of school or her career. 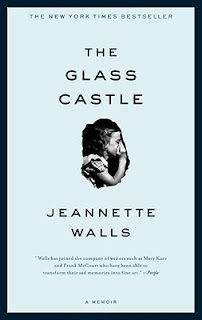 While Walls' memoir is non-fiction, it's a fast read that will appeal to Banash's audience. The sense of place throughout this novel is incredible and the descriptions are raw. It's almost physically painful to read about what happens to Jeannette and her siblings. Okay, so the plot of this one doesn't sound quite as similar, however, I noticed that it's also set in the 80s, so I thought it'd have some appeal. What other titles would you add to my list? 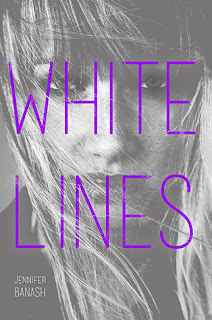 I haven't heard about White Lines before, and now I'm interested! I ADORED The Glass Castle, and it's always nice seeing other people appreciate it.